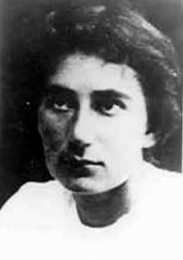 Rachel (Bluwstein) (1890-1931) was born in Vyatka, Russia; she published all her poetry under her first name only. Rachel arrived in Eretz Israel in 1909, and lived in an agricultural school for girls on the shores of the Sea of Galilee until 1913. She then went to France to study agronomy and drawing, and with the outbreak of World War I returned to Russia, where she worked in educational institutions for refugee children. During this period she contracted tuberculosis. In 1919, she returned to live on Kibbutz Degania. Unable to work with children because of her illness, she left the kibbutz until she finally settled in a lonely one-room apartment in Tel Aviv, where she lived the final five years of her life. She died at the age of forty, and was buried near the Sea of Galilee. She published most of her poetry during her last six years. 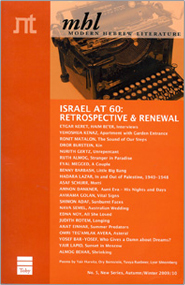 Rachel`s life has taken on mythic proportions for Israel`s reading public and a book of her collected verse remains one of the country`s greatest bestsellers.